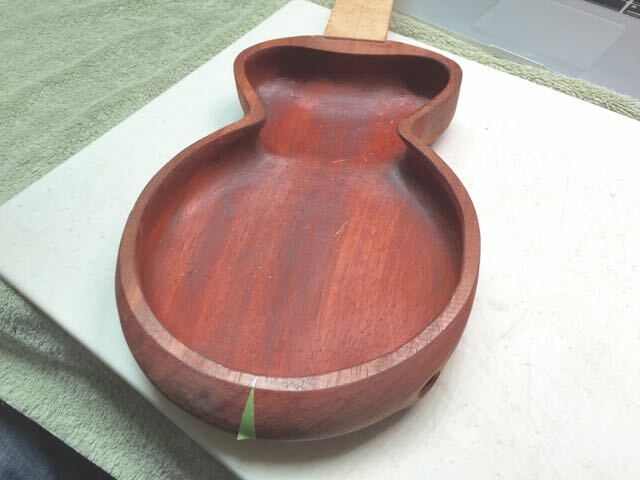 Updates on ukulele “Maria” December 26, 2014. 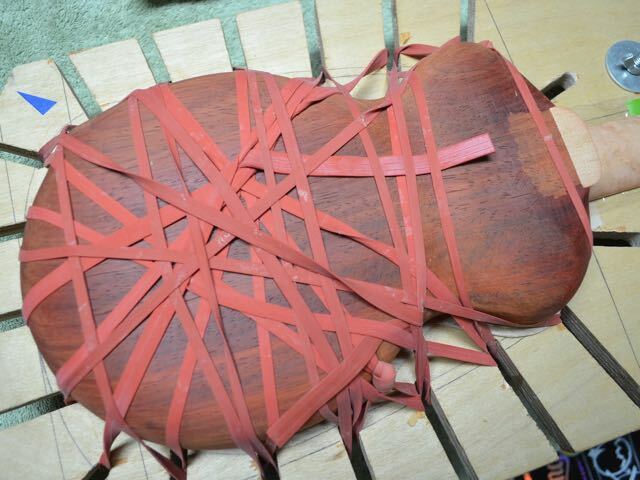 Soundboard has been braced and the bridge plate is in place. The interior of the body has three coats of finish and has been final sanded. Also the K&K Sound Twin Spot internal pickup has been installed. The pickup has a very solid mount and the jack will angle down toward the floor. 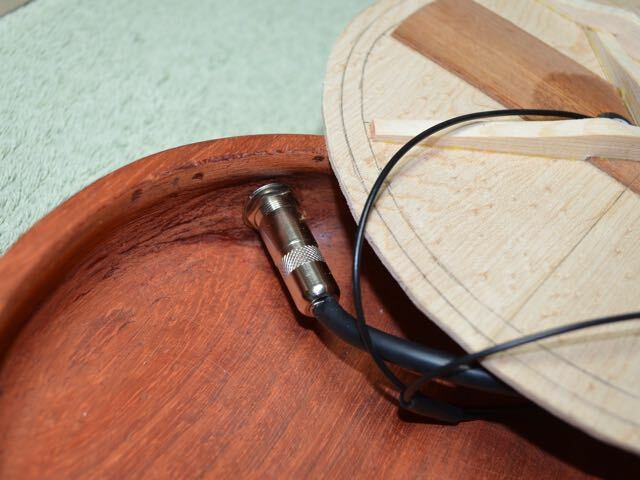 Here we’re gluing on the soundboard. Because of the curved back we can’t use clamps effectively so we use rubber bands on the solera. 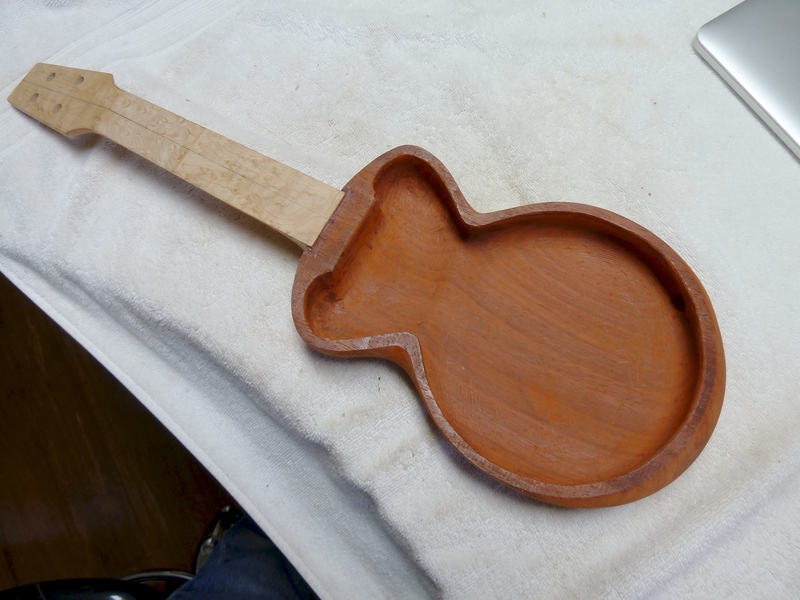 Soundboard is trimmed to the body. The lower bout appears round but actually extends slightly to create a comfortable angled armrest. This is a beautiful detail at the waist. 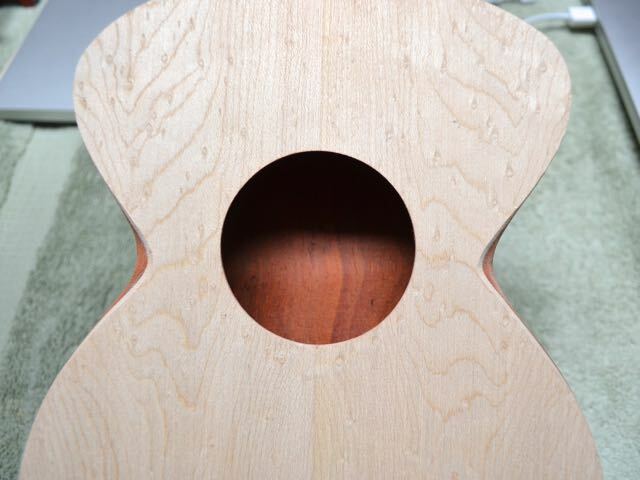 Viewed from the front, the waist curves slightly in so you can see slender little darts of color on either side of the sound hole. 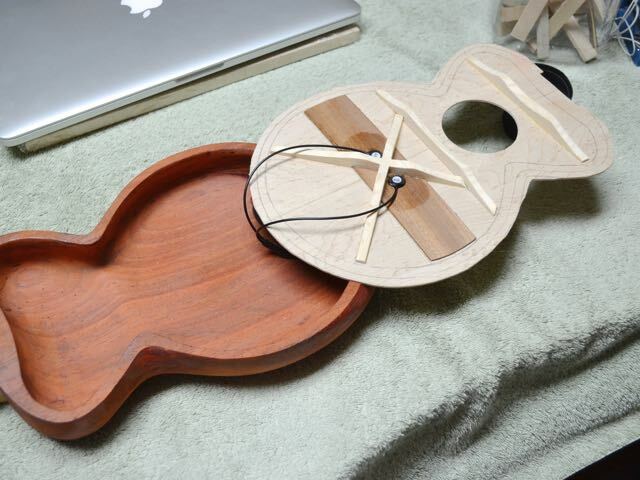 Nothing but soft gentle curves…this is one very comfortable ukulele to hold. 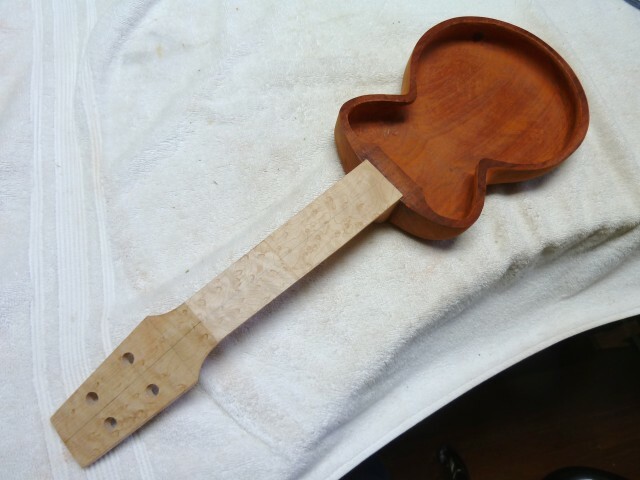 Next up, is lots more sanding and then we add the fretboard. Updates on ukulele “Maria” December 4, 2014. 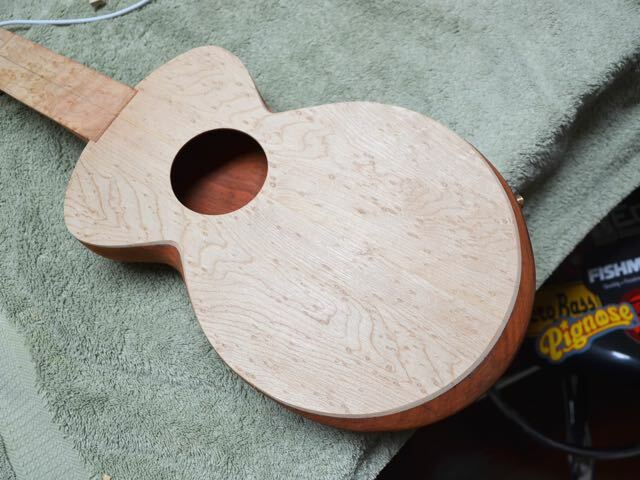 Soundboard has been thicknessed, trimmed and the sound hole cut. Bracing is mapped out and we are cutting the braces. 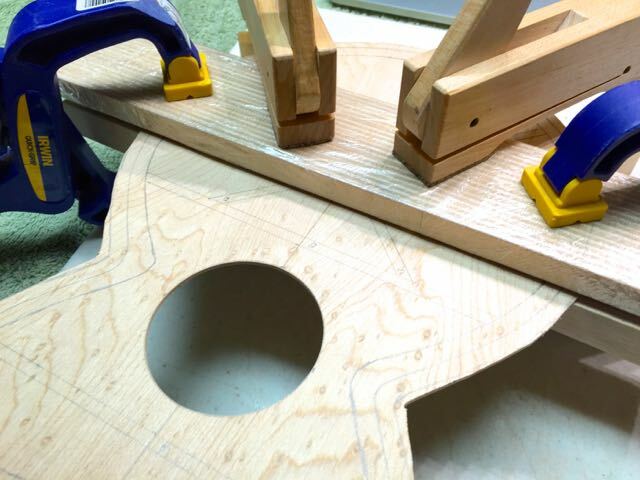 Clamping and gluing the bridgeplate. Next up we’ll arrange the bracing and install the pickup. 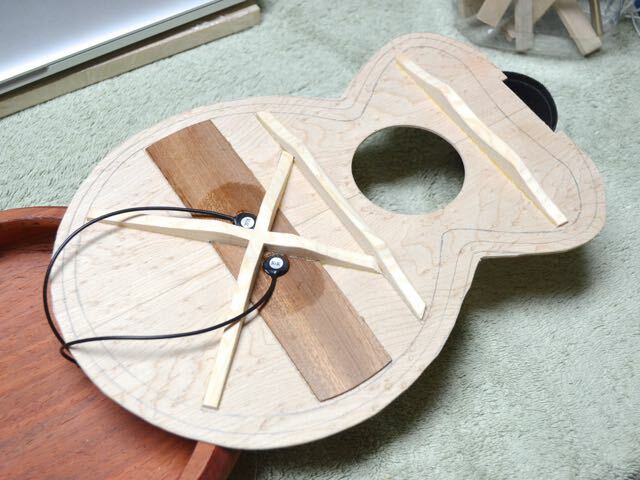 Updates on ukulele “Maria” October 19, 2014. Ukulele “Maria” has her neck in place. 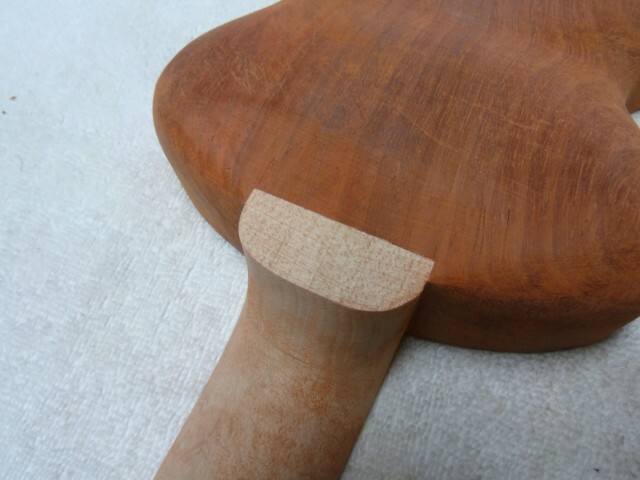 It is inset into the body about 6mm making the joint incredibly rigid and secure. 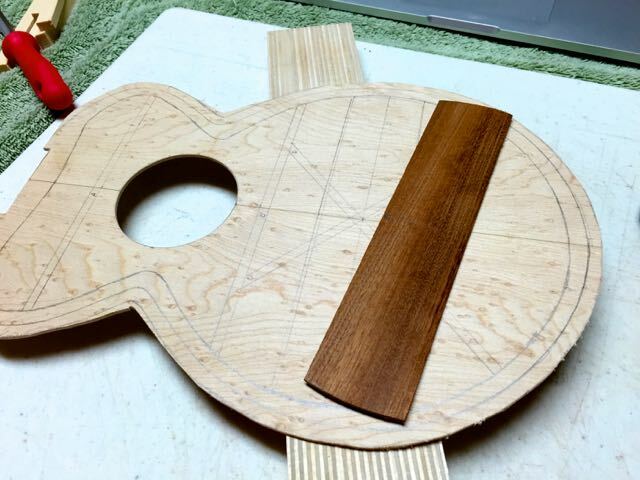 The neck and body are, for all intents and purposes, a single piece now. We’re doing the final shaping of Maria’s body now and starting to sand. The shop is filled with bright orange sawdust. This padauk body is incredibly hard. When you tap on it, it sounds almost like it’s ceramic. Can’t wait to hear what she sounds like! 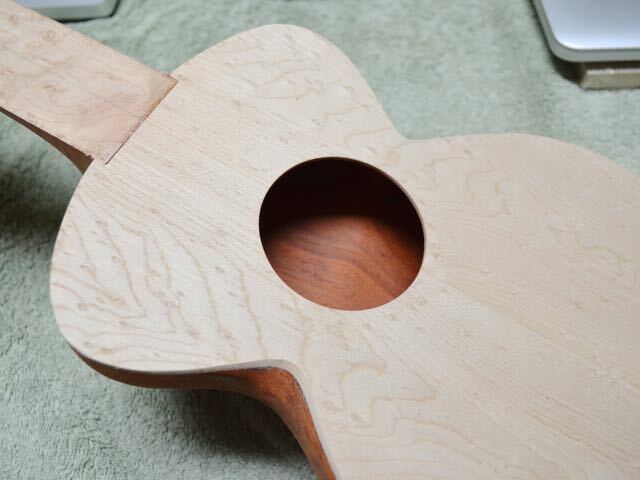 If you look closely you can see some of the bright orange dust on the neck from sanding the body. This ukulele is incredibly rigid. 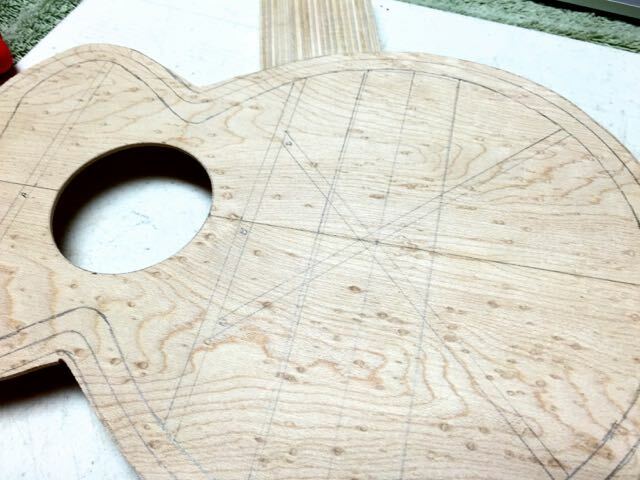 That’s birdseye maple for the neck.